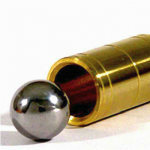 Steel ball melts into the tube at your command! 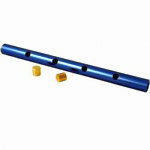 Peter Monticup created an EXTRA online video EXCLUSIVELY for our customers who purchase this Steel Ball and Tube trick! 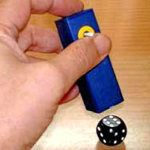 Perform this mystery in minutes! 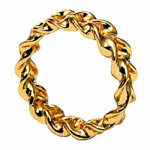 And this one comes with a BONUS you can only get from Magictricks.com! Since the instructions that come with this trick teach you only one basic effect, we made a great BONUS video to teach you Monticup's entire routine! Not only that, but you'll get some clever tips on how to handle your trick so it works really smoothly.You won't get this information if you buy this trick from anywhere else! 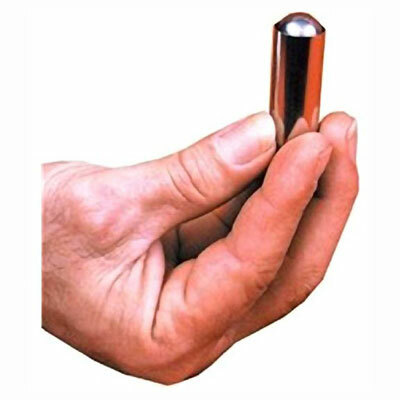 The solid steel ball is too large to fit inside the steel tube, but at your command, it lowers into the tube and comes back up again. When your spectator tries it, the ball is now too small for the tube and falls right through it! 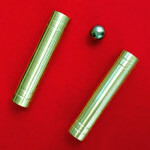 For a version of this pocket illusion that works on a different principle, see the Ball and Brass Tube. 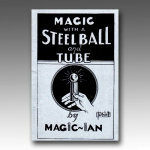 And to learn some great tricks you can do with the Steel Ball and Tube, see the Steel Ball and Tube Book. 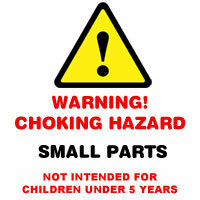 WARNING: CHOKING HAZARD. Do not put the ball in your mouth. Not suitable for children under 5 years of age. 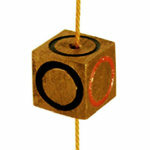 Steel Ball & Tube .. classic piece of close up magic that entertains and mystifies, kids and adults love it and I do too! !